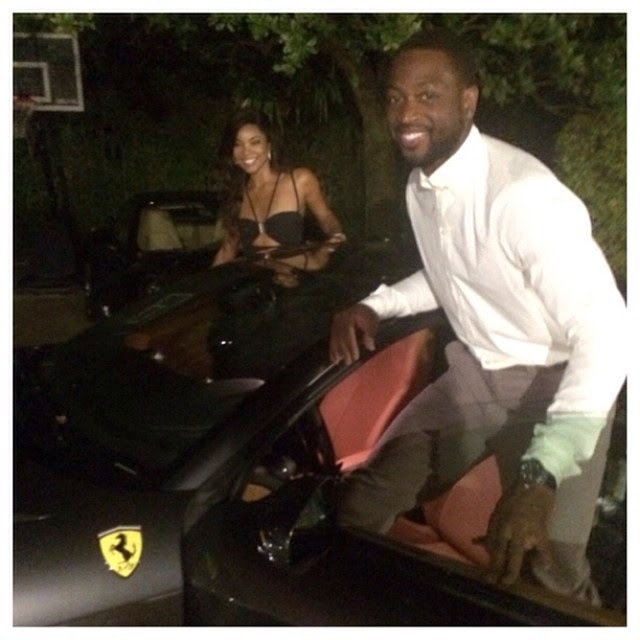 Dwyane Wade and Gabrielle Union Wedding: Miami Heat's Dwyane Wade married actress Gabrielle Union, his girlfriend for 4 years last Saturday, August 30, 2014, at the Chateau Artisan in Miami Beach, Florida, USA. That's exactly a week after power couple Brad Pitt and Angelina Jolie's wedding at the Chateau Miraval in France. Not much pictures from the wedding on the internet, and I only found just one via US Weekly Magazine, a "just married" photo of Wade and Union. The newly-weds lookin' so great! Groom so handsome, bride so beautiful in her white wedding gown. Both were wearing white, as well as all the female attendees. 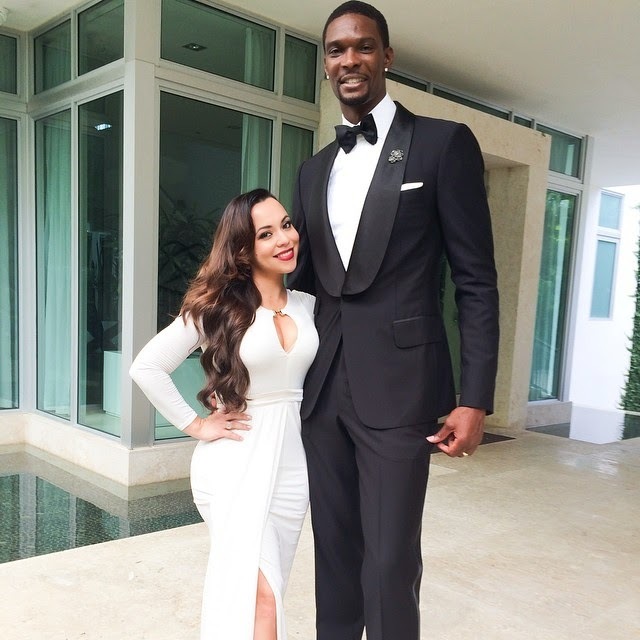 chrisbosh: "@mrsadriennebosh and I are ready to share a special moment with our family @dwyanewade & @gabunion... #thewadeunion"
A night before the wedding, Gabrielle also shared on Instagram a photo of them right after their rehearsal dinner. It was the 2nd marriage for both Wade, 32, and Union, who's 9 years older.